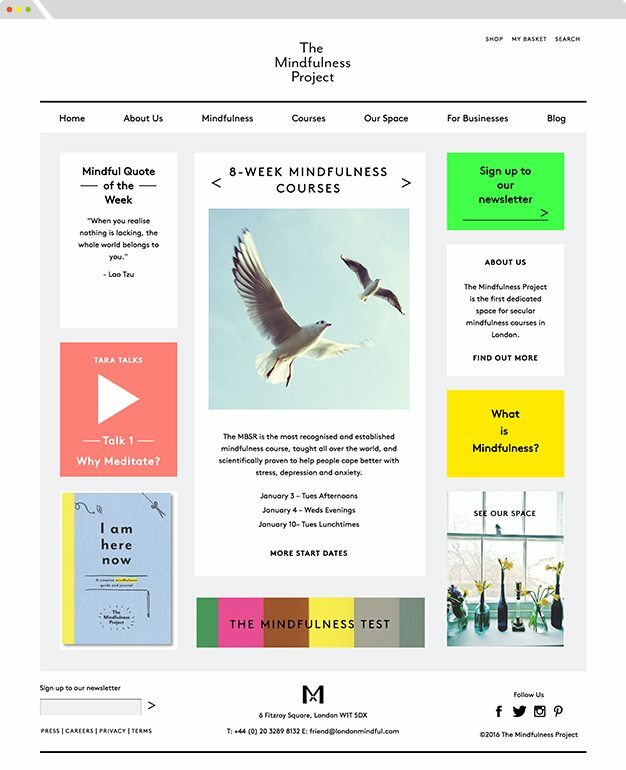 The Mindfulness Project is a London-based company that teaches mindfulness as a form of stress reduction therapy in a secular setting. Our brief was to deliver an e-commerce website through which they could sell their courses. 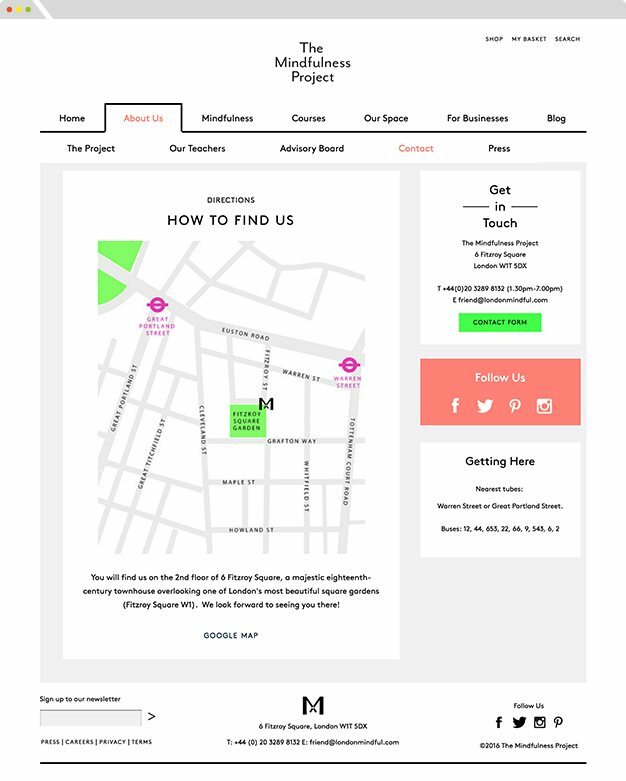 Phenomenal functionality and ease of use were paramount in this brief, and we carried that philosophy through from the moment a user arrives at the homepage until the moment they book a course. The result is a website that delivers on the brief whilst also reflecting the values of the company through stunning imagery and design.